The objective of the visits of Hazrat Khalifatul Masih Vaba is to consolidate the spiritual training of his Community, for which His Holiness leads prayers and draws attention of the Community towards matters of importance. For members, a highlight of this visit is the honour of having a private audience with His Holiness, during which members seek advice on personal matters, support and prayers of their revered leader. His Holiness spends considerable time with the students of the Community, both boys and girls during his visits, who are studying various topics including science, history etc. to guide them. The objective is to inculcate righteousness in the youth and train them on becoming good Ahmadi Muslims who understand their role in society and are successful in life. Throughout his travels, His Holiness is interviewed by various media outlets. This serves the purpose of disseminating true teachings of Islam. 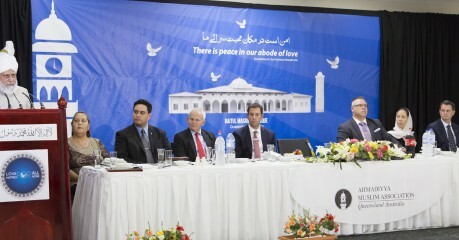 Further, in his meetings with various officials, such as Ministers, Mayors, Senators and also the general public, to understand their point of view and also so that he can explain various aspects of Islamic teachings to demonstrate their peaceful and compassionate nature and provide solutions to their issues and concerns. Hazrat Khalifatul Masih Vaba undertook a historic tenday trip to the West Coast of the United States for the first time since his election to the office of Khilafat. During his stay, His Holiness met over 900 members individually, interviewed with The Wall Street Journal and Los Angeles Times. During the interviews, he stated his purpose of visit to the United States was only to meet with the members of His Community and advise them towards reformation. 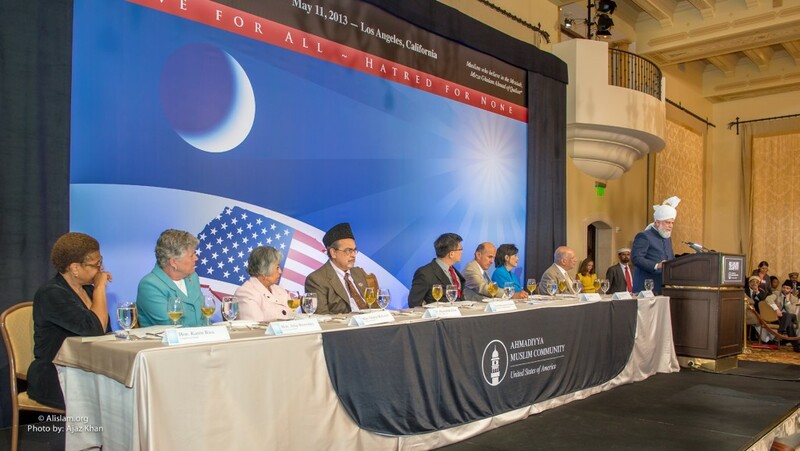 During his keynote address at a special reception held in his honour at the Montage in Beverly Hills, LA on May 11, 2013, he said the American people had no reason to fear Islam because it was a religion that advocated peace, universal human rights and a respect for human dignity. His Holiness also used his address to implore everyone to view Islam through the lens of justice, rather than through the acts of extremists. 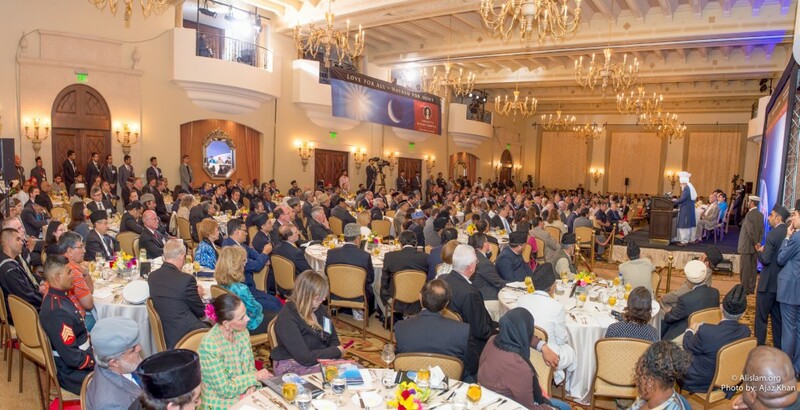 This event was attended by more than 300 people, including government officials, academics, community leaders, as well as California Lieutenant Governor, mayoral candidate Eric Garcetti, and several members of the United States Congress. His Holiness met the Mayor of Calgary, Mr Naheed Nenshi, and discussed matters of mutual interest and thanked Mr Nenshi for his kind comments that Ahmadis integrate well with the local community. 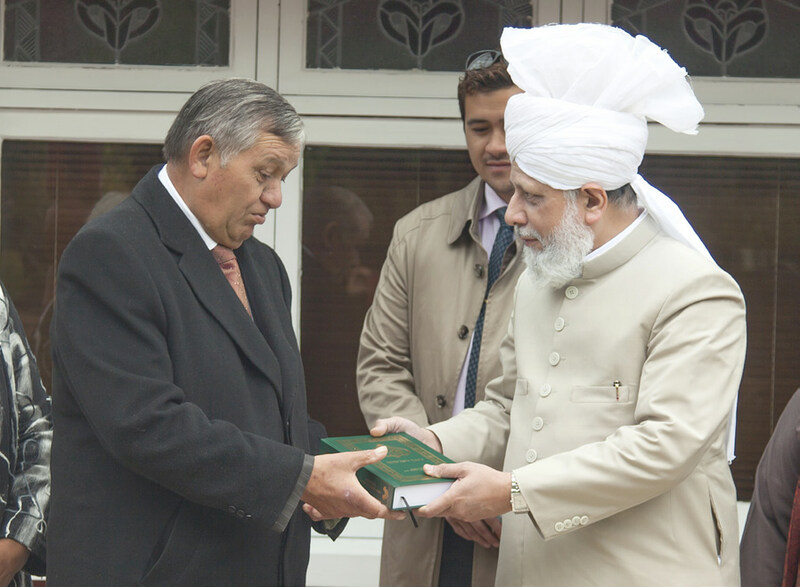 In June 2013, the Supreme head of Ahmadiyya Muslim Community visited Germany. 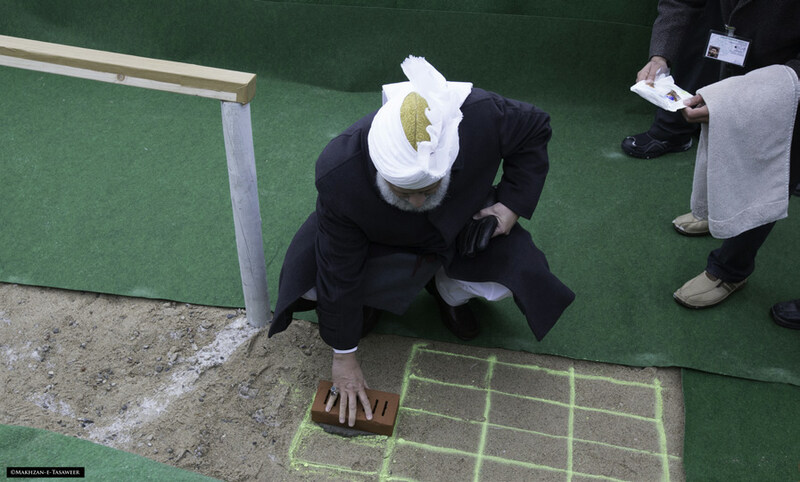 During this visit, he presided over the Annual Convention and laid the foundation stone for Baitul Hameed Mosque in the town of Fulda. 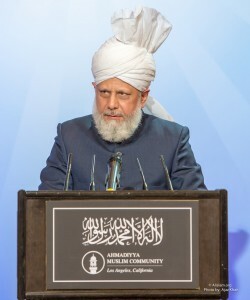 In response to a question from reporter about integration with German culture, His Holiness responded that Ahmadis are instructed to integrate and serve the local community, while adhering to their religious values. He explained that there are some aspects of German culture that we will be happy to adopt. In Autumn of 2013, Hazrat Mirza Masroor Ahmad embarked on a seven week journey which took him to Singapore, Australia, New Zealand and Japan. The reception was attended by such notables as Mr Lee Khoon Choy, a founding member of Singapore’s ruling People’s Action Party. During the second leg of his journey, His Holiness visited Australia. Apart from attending the Annual Convention and speaking to many famed journalists, he inaugurated the newly built Masroor Mosque. He also delivered a key note address at Princess Reception Centre. Many opportunities were presented to deliver the true peaceful message of Islam, such as Newspaper editorials, interviews that appeared in print and on and radio. The third leg of his journey took him to New Zealand. Apart from inaugurating the Annual Convention of New Zealand, His Holiness delivered a historic address at New Zealand’s National Parliament in Wellington. During his address, he advocated the urgent need for justice as a means to develop world peace in the face of increasing tensions and conflicts in various parts of the world. Indeed, His Holiness deemed the establishment of world peace as “the critical need of the time”. 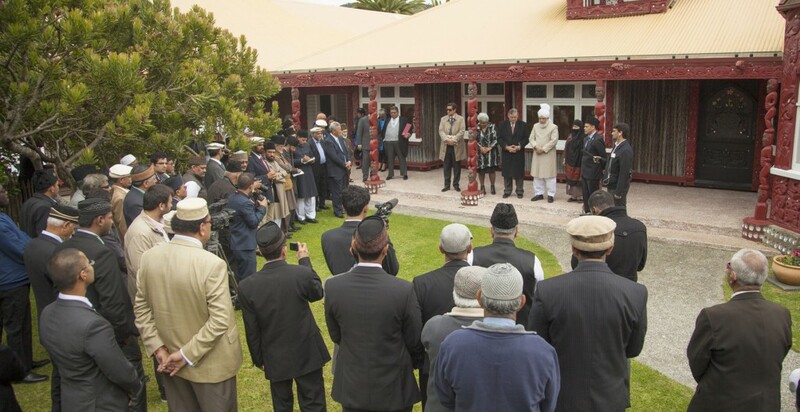 One of the key highlights of his visit was the official release of Holy Qur’an translation done in Maori language, which is the language of indigenous citizens of New Zealand. Final stop on this seven week journey was made in Japan. 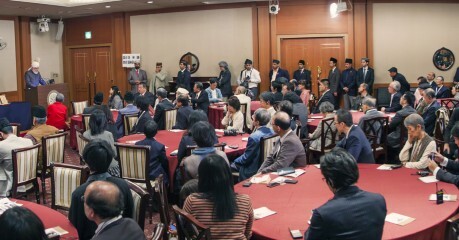 Amongst other engagements, His Holiness addressed a press conference attended by more than 64 journalists and media members and also delivered a keynote address on Islam, Terrorism and the Qur’anic principles of peace, at an historic reception held at the Mielparque Hotel in Nagoya.